So you agree? You think you're really pretty? Hardly, but I do think my favorite dresses are. There are some days when I roll out of bed and feel like exerting the energy necessary to put together a "cute" outfit could maybe kill me. On the contrary, there are days when I wake up feeling like I am ready to take on the world and want to look great doing it. While those mornings are rare, they do happen, and when they do, there are 10 items I always reach for. It sounds weird and maybe a little bit cocky, but the dresses ahead make me feel really pretty whenever I wear them. Now that I think about it, that's probably because the dresses themselves are really pretty. There's no shame in wanting to wear something that makes you feel special, and in case you're feeling like your closet is a little lackluster these days, I think the dresses ahead will add that sparkle back. 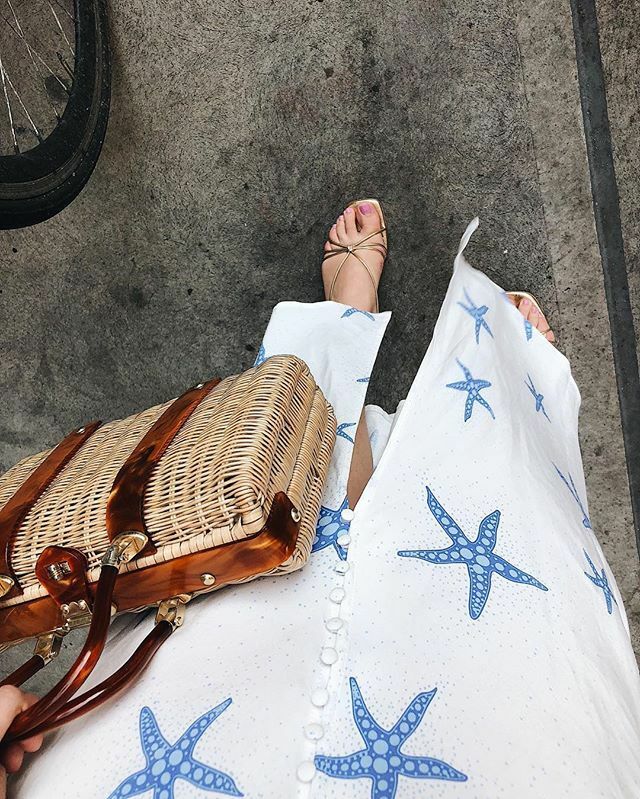 Go on to shop the 10 summer dresses I wear when I want to feel really pretty, in addition to the ones that are currently on my wish list. Who knew sea creatures could make you feel so good? Napkin, but make it fashion. I wear this out at night with kitten heels and during the day with chunky sneakers. Pretty flowers and pretty colors. Makes sense. I have a different but similar version of this dress and have never received so many compliments in my life. Ruching is a trend I'm really excited for this season. Now I need this in every color. Thanks, Dôen. My mom hates this dress, so naturally, I love it. Holding on to the prairie dress trend for as long as possible. Get to know this brand ASAP. Adam Selman, if you're reading this, I won't have a good birthday on October 8 if I'm not wearing this dress. Another cool new brand with amazing pieces, including this dress. This comes in red and stripes, and I think we need both. Zebra is the new leopard. Or is this a tiger? An evening gown worth writing home about. This color is just asking to be complimented. Consider your next cocktail party ensemble planned. Next up, find out why you're about to see these naked blue jeans on every celebrity.